Description : It is not original. Un-paint and un-build. 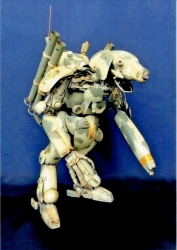 Included: Resin kit, reference .Used to " 1/20 Grosser Hund Ausf.F K "Kyklop""